Give these fiction writing prompts a try. 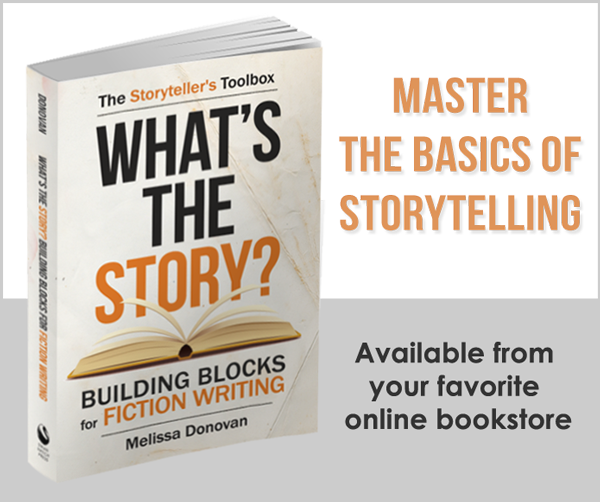 Fiction writing prompts are a great way to stimulate creativity when you’re in the mood to do a little writing but need some fresh story ideas. Prompts and other creative writing exercises can trigger your imagination. Sometimes, prompts and exercises help you come up with new ideas for projects you’re already working on, and other times, they give you ideas for projects you haven’t started yet. They’re also a great source of motivation. The fiction writing prompts below are story starters. Try starting the first sentence of a new piece with one of the prompts and run with it, or write a story that includes one of the prompts somewhere in the text. As an alternative, use the prompts to generate story ideas and plan a story around a prompt (you don’t have to include the actual prompt anywhere in the story). You can even use one of the prompts as the final sentence in a story and use your imagination to fill in what happens leading up to it. Feel free to alter any of the prompts to your liking. Use one or use them all. Have fun. She rolled over and felt her body push up against something hard. My wife disappeared on August 28, 1998. Sonny jumped up against the chain-link fence, wagging his tail furiously. Mom says it happens to all girls, but I think she’s just trying to make me feel normal. I’ve been to nine planets in twelve years and it’s starting to show. They say Old Weezie’s been reading palms out of her run-down shack for a hundred years or more. Acronyms give me a headache in general, but PBRT gives me a migraine. Ashley stared at the fruit, so lost in amazement that she didn’t think to comment on its size. Every day the sun comes up and every night it goes down again. When the elven guard put out a call to action, their plea went unheard and what followed was sheer terror. Bonus challenge: Write a story that includes each and every one of the ten prompts above. That would be quite a feat! Looking for more fiction writing prompts and story starters? Some of today’s fiction prompts appear in 1200 Creative Writing Prompts, available in paperback and ebook. I really like the fourth prompt here. It leaves so many options for where to go. You can write a piece going in the direction of fantasy as a girl comes to grips with her powers. Or maybe about coming of age as a girl comes to terms with her changing body. The other ones are up and down but that one really stands out for me! I love any story where someone’s getting powers! I think based on the prompt, the coming of age and changing body would be expected. Having powers is more surprising – of course, those two events could happen simultaneously. That would be rough for the poor girl but a lot of fun for the writer. Here is a little something I came up with after reading the 10 propmts, I went with the first one. I know it isn’t much, but it is a first thought piece. Let me know what you think. She rolled over and felt her body push against something hard and solid. Startled, she turned quickly to face the large oak tree planted in her backyard. Relief washed over her as she sat up and cleared her thoughts. She bent down to pick up her cell phone and turned for the house, leaving the blanket and book on the ground. She ran upstairs before her mother could stop her. “Young lady, that boy better not come over here today, do you hear me?” Her mother yelled after her, clearly angered. Kylie slammed the bedroom door shut and laid down on her bed. She pressed her phone to her ear and waited for an answer. “Won’t Joey be home?” Kylie asked, unsure of her fate. “I love you, too.” She replied, and he hung up. Thomas speeded down the streets towards Joey’s house. He hated when Kylie called him for being late. He turned quickly and pulled into Joey’s driveway. The Hansen family was on vacation and Joey left Thomas a key as a favor, as long as they stayed out of his room, he didn’t care what they did. Thomas unlocked the door and walked up the stairs to Joey’s bedroom, he would forgive him one day. Thomas pulled a tin box from under the bed, he new where Joey stored his extra cash. Regretfully, he counted out three hundred dollars, and slid the box back into its place. He quickly left the room and went to wait for Kylie downstairs. That’s great, Jennifer! I have a lot of fun with creative writing prompts, and I wish I could read more from people who’ve put them into action. It’s easy to see how this could evolve into a longer piece. Nice job. Love this one!!! SO much. Great Job! I took prompt number 9. A friend and I are writing a series of stories around two characters we created, so this helped a lot with a short little sweet one. There are some things you just know. Every day, the sun comes up, and every night, it goes down again. You don’t have to explain how you know, you just know. The two were sitting on a rock, Cattie in Caleb’s lap and leaning against him, his arms draped around her and his head against hers, both just enjoying being with each other. Cattie wiggled in closer, sighing contentedly. This was one of those little things that made both of them inexplicably happy. They brought out the best in each other. Caleb was brusque and could go days without speaking, had gone days without speaking. And while Cattie didn’t talk a lot, she talked more than he did. Caleb knew how to survive, and was teaching her. But Cattie knew how to live, and was teaching him. He was learning how to be sweet from her. She was learning how to be strong from him. Caleb taught her how to fight. Cattie taught him how to play. He taught her how to observe everything around them. She taught him how to see everything around them. And both of them were learning that they could be content to just sit with each other. Even if they did have to do the fingertip touching ritual to keep her from freezing up. There were some things that you just know. They’d be together when they went to sleep. They’d be next to each other when they woke up. You don’t have to explain how you know, you just know. Caleb would do anything to keep Cattie safe. Cattie would do the same for him. Wow, you made great use of this prompt. My only suggestion would be more showing and less telling. For example, you said “Caleb taught her how to fight. Cattie taught him how to play.” Those two sentences tell the reader something. You could draw each sentence out into an entire scene – one in which Caleb is showing Cattie different boxing moves or martial arts tricks and explaining self defense. Another scene could be Cattie luring Caleb into doing something just for fun. This is the essence of good storytelling – showing rather than telling. But you’ve done a fantastic job with the prompt. Hey! Thank you so much! This gives me a lot of advice as well. Could you critique this one? I used most of the prompts, which are all really good. Could you give a guess on my age as well? Just for fun? Laura stared at the planet, so lost in amazement that she didn’t think to comment on its size. It overwhelmed her with thoughts. Every day the sun comes up and every night it goes down again. What if all of that stopped? They say the old woman on the top of the hill can read people’s minds, but the last time she walked for a week on foot, that woman had just said that the planet would come. Laura had been frustrated with those words, though, now that she thought of it, it made way more sense to her. She was bewildered. She was confused. What would happen next? The planet looked like it was hovering just feet above Earth’s surface, getting closer and closer, until everything that Laura could see went black. When Laura woke up, she couldn’t see anything. It was pitch black. A shiver ran down her spine. She could feel the grass beneath her. She didn’t remember laying down though. She rolled over and felt her body push up against something hard. She screamed. Terror filled her thoughts. Laura stared at the planet, so lost in amazement that she didn’t think to comment on its size. It overwhelmed her with thoughts. Every day the sun comes up and every night it goes down again. What if all of that stopped? They say the old woman on the top of the hill can read people’s minds, but the last time she walked for a week on foot, that woman had just said that the planet would come. Laura had been frustrated with those words, though, now that she thought of it, it made way more sense to her. She was bewildered. She was confused. What would happen next? The planet looked like it was hovering just feet above Earth’s surface, getting closer and closer, until everything that Laura could see went black. When Laura woke up, she couldn’t see anything. It was pitch black. A shiver ran down her spine. She could feel the grass beneath her. She didn’t remember laying down though. She rolled over and felt her body push up against something hard. She screamed. Terror filled her thoughts. She felt around her. She sat up with relief as she patted against the object realizing it was a tree. It only there was some way she could just get back home. She could feel the ground. At least that was something. She smelt burning flesh. She burned her hand against a rock. Why was it so hot? She couldn’t do this. Not anymore. The woman had warned her. Why hadn’t she listened? Thanks for sharing your work here. However, this isn’t a critique board, although visitors are welcome to share their thoughts on your post. So the prompt is at the end, I liked it better that way. Hannah ducked low in the mine shaft, light dimly illuminating her way back to the accident site. Her radio continued cackling at her hip. Hannah grabbed the radio and pressed the button down with her coal-covered hand. “Sandra is my friend! I’m going back!” She trudged a few more feet before adding her favorite quote of the former: “Don’t tell me how to live my life!” she stuck the radio back on her hip and maneuvered around several fallen beams and rails sticking out of a mini-avalanche of coal-mine-wall. “No,” Hannah answered, grabbing her hand. “Don’t say stuff like that. It’s not true,” but even as she spoke the words she felt them slide off of a definite truth that everything was not going to be alright. It was as present as the mountain of rock and metal and wood pinning Sandra down, crushing half her body. She looked down at her friend’s face and saw that her eyes were watery. “Hey, don’t go getting soft on me now,” she laughed. Sandra attempted a strangled laugh but wound up spitting up a considerable amount of blood. Hannah felt a tear roll down her grimy cheek. “Come on, you can’t leave me,” she pleaded, scooting so she could prop Sandra’s head up on her lap. She wiped crimson from the combination of tear-streaked dirt and coal from Sandra’s face. “You’re my best friend,” she whispered. “You’re mine too,” Sandra managed between ragged breaths. They heard the scratches and shouts of people digging through. “Hey! There they are, Sandra! It’ll be okay!” Hannah squeezed her hand. Hannah looked down and put her other hand over the one she was holding already. “I love you,” she spluttered, red streaking out the sides of her mouth again. “I love you too,” she answered, tears falling and mingling with her blood. Oh dang. The stupid internet took out all my formatting….I am competent, despite what my English teacher believes. Sorry. Wow, Courtney, you got a lot of mileage out of these prompts. A whole scene! Good job! Awesome! Can’t wait to see what you do. My husband disappeared on October 12, 2005. I was young then. We were newly married, had just celebrated our one-year anniversary. He’d given me a beautiful pearl necklace. I’d given him a new grill. The pearls now rest in the corner of my jewelry box. Unworn. Untouched for years. I had to sell the grill. I couldn’t bear to look at it. No matter how long John was gone, I don’t think I would ever truly believe he was dead. No. It’s not some sort of denial I’m going through. After all it’s been 6 years, and thousands spent on therapists. I know that he is physically not near me, but I know he is not dead. I’m sure he would’ve visited if he were. I can see ghosts, or spirits or specters or whatever you want to call them. They appear to me around the clock, and have since I was a girl. Luckily I was never really afraid of them, thanks to my Gran, but trust me, I was never particularly happy to have them hanging around. I used number 2, but changed it to a husband. 🙂 I’m already 500 words in. Fun. Wow, this is great. Actually, when I first read the opening line, I didn’t realize you were posting fiction — I thought it was real. Kind of startled me, which means it’s working! Mom says it happens to all girls, but I think she’s just trying to make me feel normal. I wasn’t normal though. I see things, I can hear them. They haunt me every waking moment, they haunt my nightmares. I can see them crying for help, their deaths before they even know it. I was helpless to them, I could do nothing to save them. I blinked my eyes, trying to make the vision go away. The school bus, one of the safest places, was unsafe. Jake looked at me in confusion, he knew I hated driving him to school. The bus was going to crash though, some innocent kids were going to die. I couldn’t stop them all, but at least I could stop my brother. “You’re weird.” Jake muttered, throwing his bag in the backseat. Not weird, just not normal. 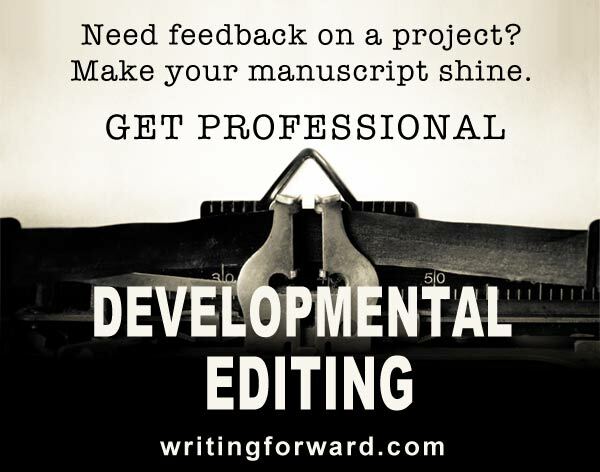 Your writing has a strong voice. I like the concept here. It’s just creepy enough for kids. Awesome prompts, have a few ideas rolling around right now. I used #1. She rolled over and felt something hard press against her body. It looped its arm around her, tugging her closer unconciously. She bit back a sigh, not wanting to wake him. As always neon numbers of the alarm clock showed it to be about three, but she already knew the time without having to spare a glance. It was always 3. Everday she woke at the same time on the dot. It’d become a pattern punctuated by nightmares, one that she couldn’t escape. The nightmares were the cause of her restlessness, reminding her of memories that she wanted to forget.They replayed in her head, ending just before she would have died, both in the dream and in real life. She likened the waking from the dream’s clutches to the police bursting through the door, the light from the kitchen spilling in heroically. The clock behind the police had read 3 o’clock, forever burning the time into her mind. She stepped back into her memories for a moment to think about what had happened. Slipping back into them, as she did every night, she began to forget where she was. Blood seemed to seep down the walls of her bedroom, staining them a foul red. Her mother had painted the walls a dark red before she died, claiming them to be homey. Thankfully for her father, the paint blended almost perfectly with her blood, so he never had to see and feel guilty for what he did. The chains he’d hung seemed to swing just outside her line of sight, taking place of the curtains over the window. He’d chained her that night, not wanting her to struggle. His cuts had to be precise, otherwise he had to start all over again and he didn’t like that. His OCD often showed through, despite the medication. The blade always winked in the light from the hanging blub, winking as if it was all pretend. His voice didn’t belong, there was never anyone else after her mother died. It was just her and her father. Just the two of them. If there had been someone else, maybe they could have saved her. “Elle, come back to me. Come back to me baby. You’re safe, you’re not there any more. ” hands pulled at her own, pulling them back from her face. If she couldn’t see him coming, maybe she could pretend it wasn’t happening. The blade would always wink at her. She didn’t want to see it wink any more. “He can’t hurt you any more. ” The voice lied, he would always hurt her. It looks like you started a story. I hope you’ll keep going with it!